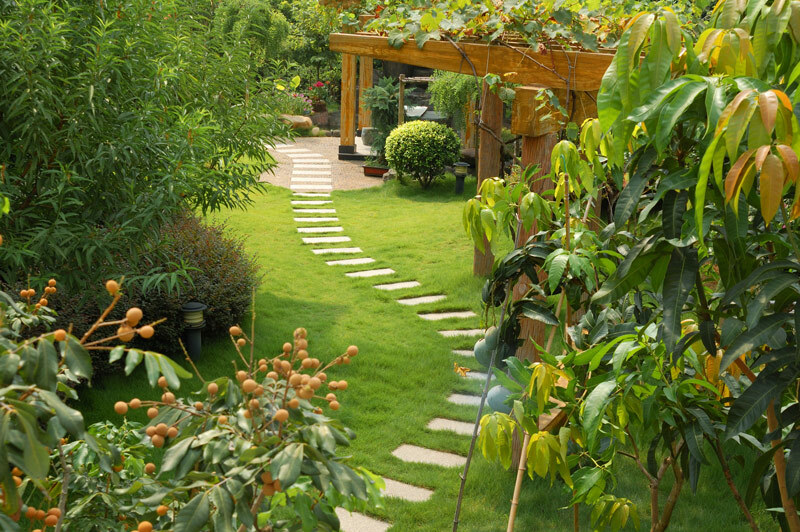 How to Create a Garden Oasis - GNH Lumber Co. How to Create a Garden Oasis - GNH Lumber Co.
An inviting yard provides a calm atmosphere, a tranquil retreat and a relaxing place to entertain. With springtime in full bloom, it’s time to start creating a detailed game-plan for your spectacular garden oasis! Remember, with a little bit of work and planning now, you can create a garden sanctuary to enjoy all season long – and one that your neighbors will envy, too. Let plant life create the outdoor retreat of your dreams! Create an almost ‘jungle-like’ vibe by incorporating bamboo and an abundance of vegetation surrounding a custom bench crafted with soft wood. In addition to adding lots of plants, layer with beautiful flowers in different colors! Use different sized plants to create a textured look. There’s nothing more relaxing than the calming sound of a natural stream or waterfall in your garden. Turn a decorative pot into a waterfall feature, or create a built-in waterfall or stream element with large, stepped stones. A closed circuit of water can also act as circulation for a pond, serving dual purposes. 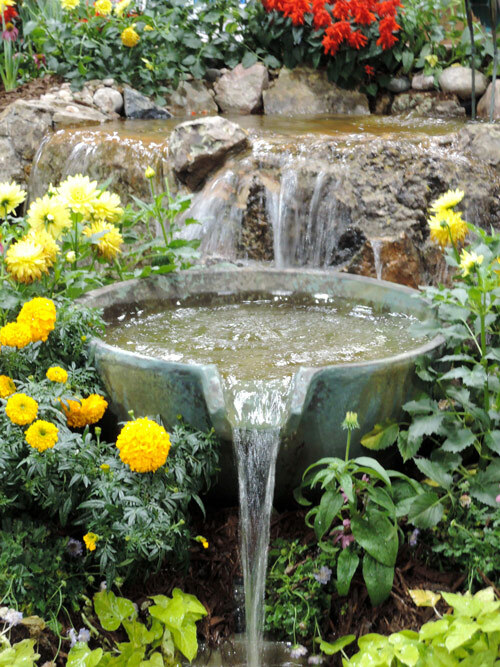 Whatever you choose, a water feature is a dramatic touch that provides soft tranquility. Adding vines to fencing, trellises, benches and other structures in your yard will create a soothing retreat with added privacy. Creeping vines that flower such as clematis, honeysuckle, trumpet vine, and morning glories will provide a pop of color against all the green vegetation as a lush backdrop. 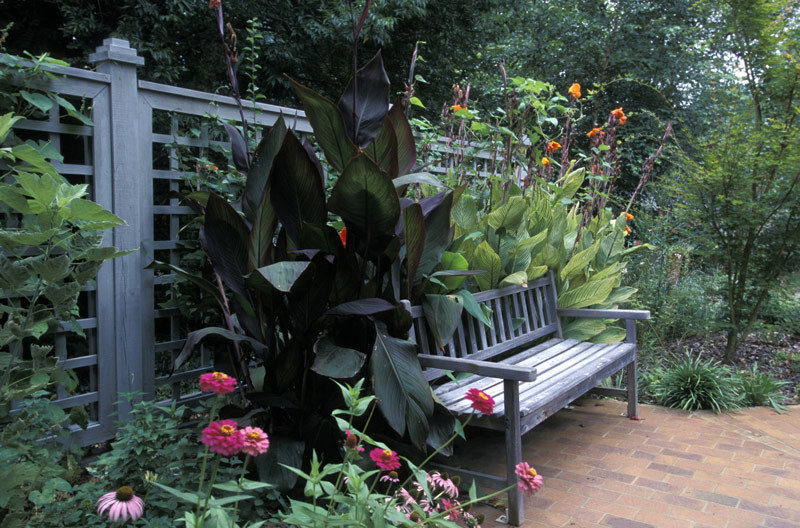 Natural stone accents, like stepping stone paths, are great features to add to your garden oasis. Natural stone is an easy accent feature to incorporate into your backyard and can be inexpensive, depending on the stones you purchase. By selecting tall, large-leafed plants, you can simulate a tropical rainforest experience. These types of plants add immense drama with a tropical tone. Make sure these plants dominate the yard to the point where you almost go overboard. 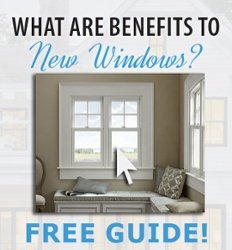 Adding a few of these simple features to your backyard will go a long way towards creating your tranquil retreat. A garden oasis is fun to create, and will provide a great place to decompress after a long day or even entertain your friends and family. Now get a head start on designing your garden oasis!